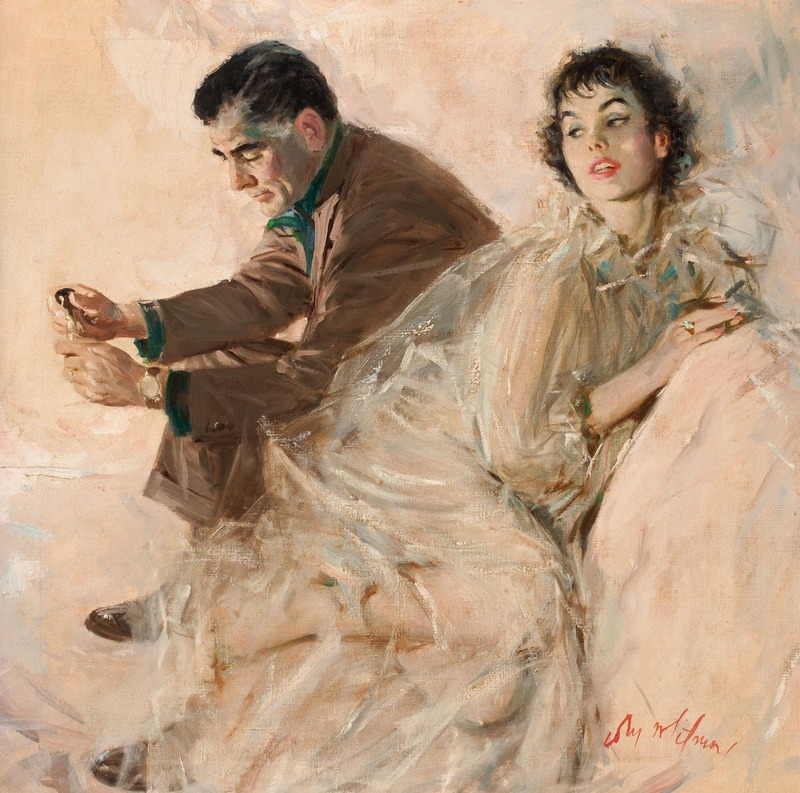 A gifted painter with a penchant for race car driving, Coby Whitmore (1913-1988) became known for his arresting variations on the “boy meets girl” theme. 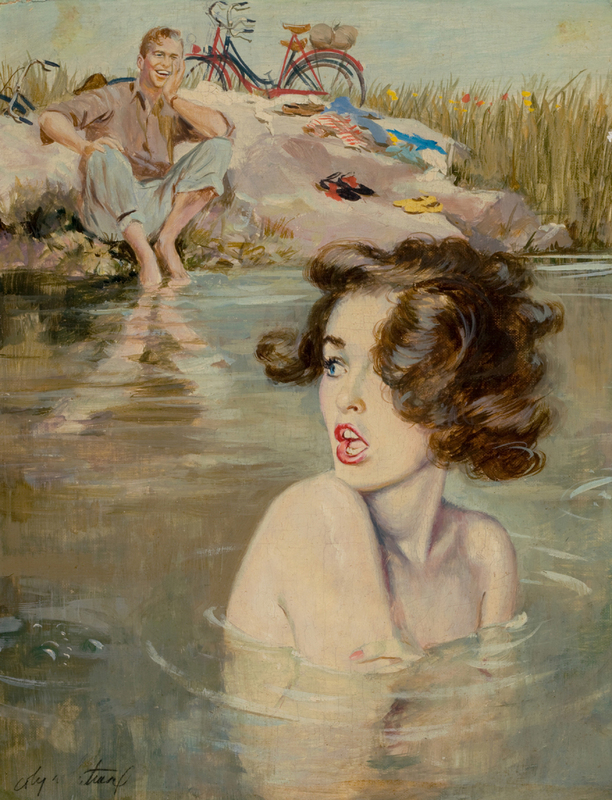 Born in Dayton, Ohio, he studied at the Dayton Art Institute and honed his skills as an apprentice to illustrator Haddon Sundblom in Chicago before joining the Charles E. Cooper Studio in New York. 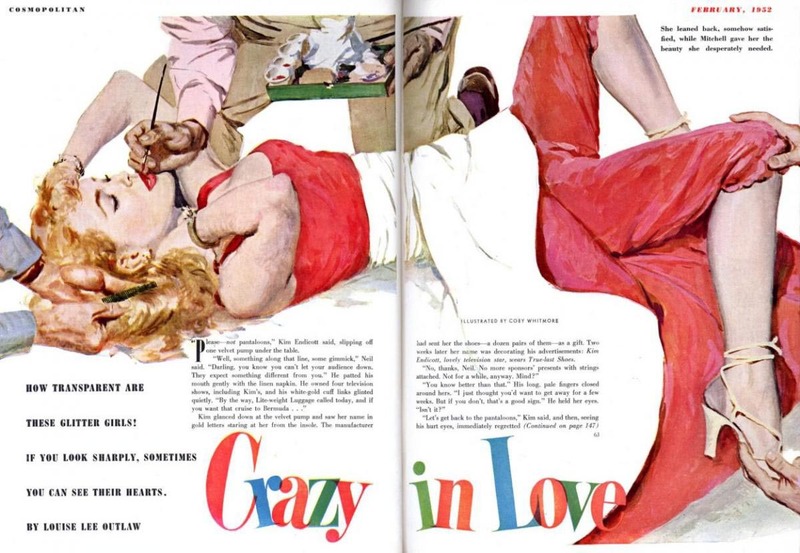 Soon after, a steady stream of assignments for Ladies’ Home Journal, McCall’s, Redbook, Cosmopolitan, and other women’s magazines brought him public acclaim. Downton, David. 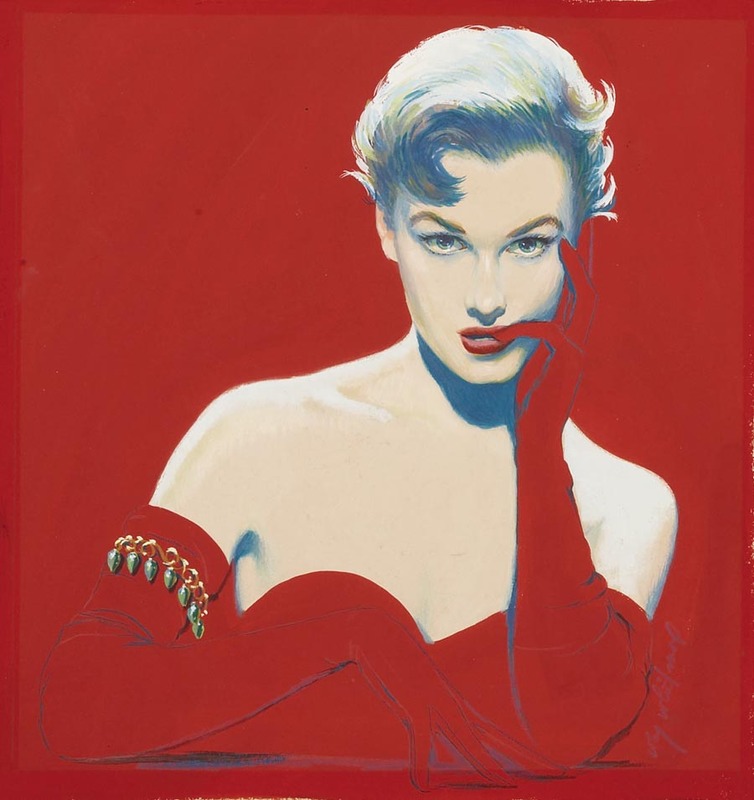 Masters of Fashion Illustration. London, England: Laurence King, 2010. Hughes, Rian. 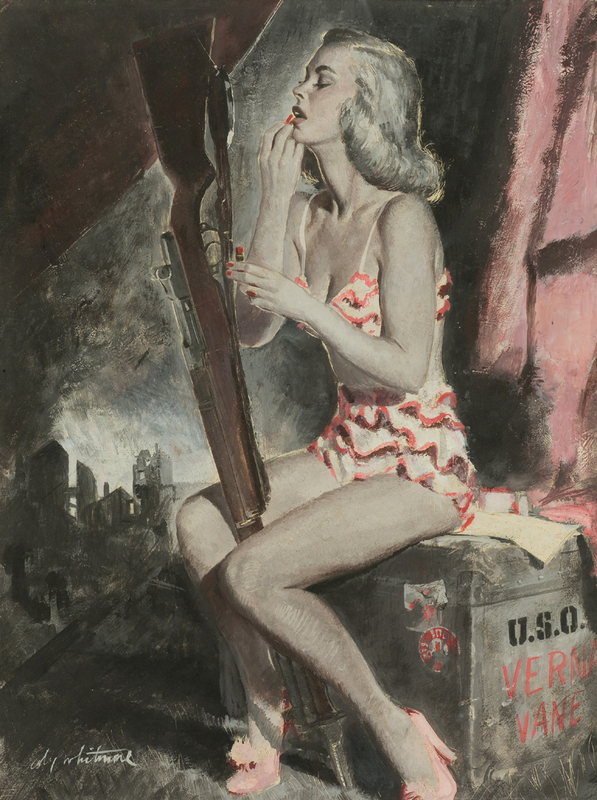 Lifestyle Illustration of the 50s. London, England: Goodman Fiell, 2010. Hughes, Rian. Lifestyle Illustration of the 60s. London, England: Goodman Fiell, 2010.